Although US President Donald Trump and his Chinese counterpart Xi Jinping agreed to a cease-fire in the US-Chinese trade war, there are no guarantees that it will not start over again on when the truce ends. During the 2018 G20 Buenos Aires summit, that took place on 30 November — 1 December in Argentina, the US and China decided to continue their trade negotiations in the next 90 days. While Washington will leave tariffs on Chinese goods at 10 per cent, it will not raise them to 25 per cent in the near future. For its part, Beijing reportedly vowed to restart imports of American soybeans and liquefied natural gas (LNG). ​Trump also asserted that Beijing had agreed "to reduce and remove tariffs on cars coming into China from the US", adding that currently the tariff is 40 percent. This would spell relief for both General Motors (GM) and Ford, who have recently found themselves in dire straits partly due to the Sino-American tariff war. "Very strong signals being sent by China once they returned home from their long trip, including stops, from Argentina. Not to sound naive or anything, but I believe President Xi meant every word of what he said at our long and hopefully historic meeting. ALL subjects discussed!" Trump tweeted on 5 December. A day earlier the US president sounded far more categorical, calling himself a "Tariff Man" and saying that the US is "either going to have a real deal with China, or no deal at all". ​While it seems that the latest Trump-Xi meeting has finally set the wheels in motion, there is still a lot of ambiguity surrounding the US-Chinese truce. 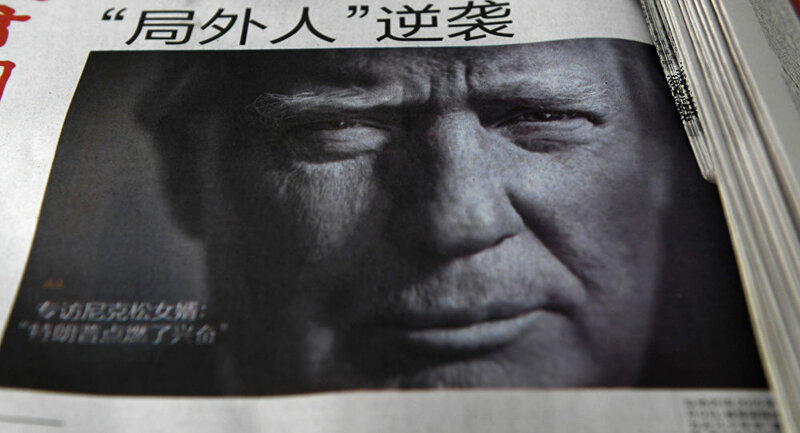 On 2 December, Bloomberg published a side-by-side comparison of statements made by US and Chinese officials and found them "rarely overlapping". The White House's press release said that the People's Republic "will agree to purchase a not yet agreed upon but very substantial, amount of agricultural, energy, industrial, and other products". It also highlighted that Trump and Xi decided "to immediately begin negotiations on structural changes with respect to forced technology transfer, intellectual property protection, non-tariff barriers, cyber intrusions and cyber theft". For its part, Beijing "issued an upbeat but vague promise Wednesday to carry out a tariff cease-fire with Washington but gave no details", The New York Times pointed out, adding that China has yet to confirm Trump's notion that Beijing would cut auto tariffs and buy more US farm products. In addition, according to The Washington Post, Trump's enthusiasm backfired on him following the meeting with the Chinese delegation: the Chinese were both "puzzled and irritated" by the US president's bravado, the media outlet says, referring to its sources. Furthermore, contradicting statements from US and Chinese officials, shattered US stock prices on 4 December. Thus, the Dow Jones industrial average dropped 3.1 per cent, Standard & Poor's 500-stock index fell 3.2 perc ent, while Nasdaq lost about 3.8 per cent. Some US experts went even so far as to claim that the Xi-Trump cease-fire was a "mistake". "The deal is a mistake because it undermines the global trading system, will divert trade from other countries and will not reduce the US trade deficit anyway", Adam Triggs, director of research for the Asian Bureau of Economic Research at Australian National University, told CNBC in an email. Meanwhile, according to Stephen Nagy, senior associate professor at the International Christian University in Tokyo, "after the 90 day truce, trade tensions will continue and likely even deepen". The problem is that Trump's victory is a tactical one and China is not going to make substantial concessions, the researchers told the media outlet.